Description: Ranger Letter It Stamp Sets are clear mount sentiment stamps with a hand lettered look. 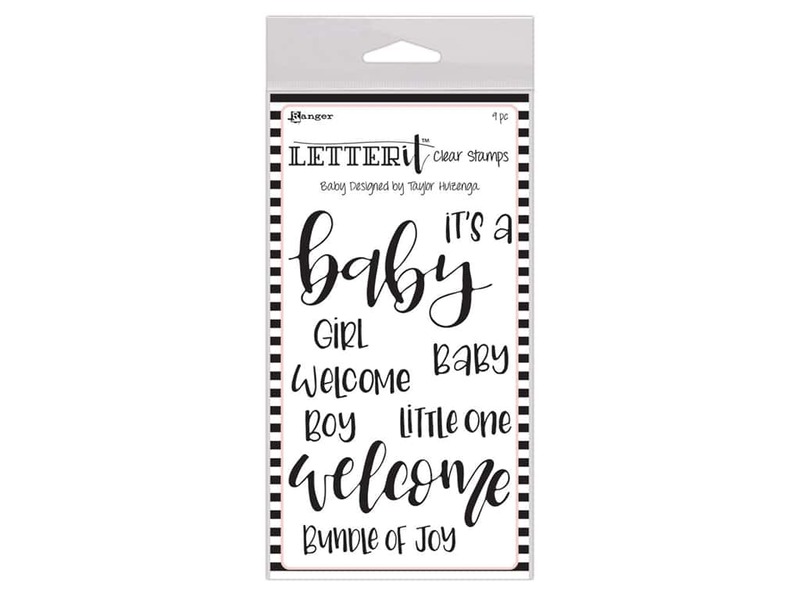 The Baby Stamp Set includes 9 stamps with the captions "Baby", "Girl", "Boy", "Little one", "Bundle Of Joy", "Welcome" and more. The largest stamp measures approximately 3 3/4 x 1 3/8 inch.